Remember these? Maybe you don’t. Even in the 1970s, a home 8-track player was pretty rare. 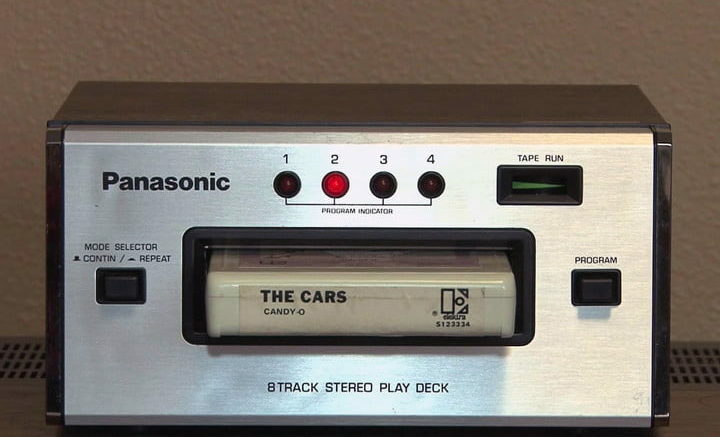 Most people had one in their cars, if they had one at all, and the 8-track format really only lasted about a decade before cassettes took over. On the other hand, if that image makes you feel nostalgic for burnt-orange shag carpet and polyester shirts, you might want to take a scroll through DigitalTrends’ History of Home Audio. Starting with the hand-cranked phonograph and going all the way to Google Home, it’s a pretty comprehensive visual and written dictionary of home audio. Sure, they miss a few of the more oddball ’80s and ’90s formats (DAT? DCC? SACD?) and they ignore early streaming pioneers like Rhapsody, but no matter what it’s a comfort-food-style trip down memory lane for the kind of people who read this blog. Whether your first experience with home audio was a CD player or a wall of LPs, you’ll enjoy wasting a few minutes looking. I know I did, and I’m a little ashamed to say I miss some of that old gear. Don’t you?